Accessories are just as important as the clothes out on and the shoes on your feet. Jimmy Choo’s latest 2013 Spring-Summer Accessories Collection adds the last bit of funk and color needed to complete your outfit. 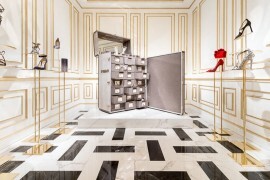 Jimmy Choo has visualized an accessories landscape littered with colorful reptile-skin clutches, perforated leather shoes in a rainbow of colors and textures, quilted fold-over clutches, and more. 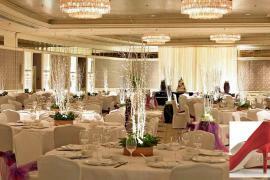 With a generous, color palette from diverse neutrals to party shades of pop-art floral and bold metallic. Nothing will complete your spring/summer wardrobe like a piece (or five) from this collection which is packed with accessories for both day and evening. 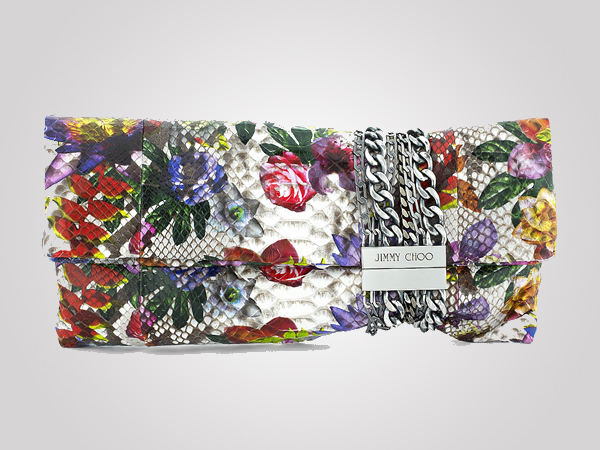 This fold over Chandra is an exotic floral printed python clutch bag with a chain detail comes with a magnetic clasp. An elegant twist added to your evening glamour, which comes with a price tag of $2,400. 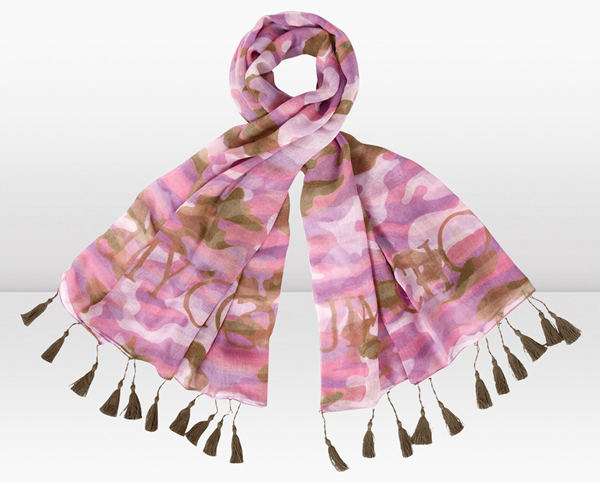 This luxurious cashmere and silk printed Sam scarf makes a perfect day wear accessory for your outfit keeping it casual yet trendy. It is available at a price of $410. Sweetie a glitter acrylic clutch bag will dazzle its way into your closet with its variety in colors including champagne, pink, green, and deep blue and option to be carried in hand or on the shoulder. It is also available in a floral printed version. Their architectural line and rectangular shapes offers a modern touch and the glitter makes it must have for sparkle lovers! 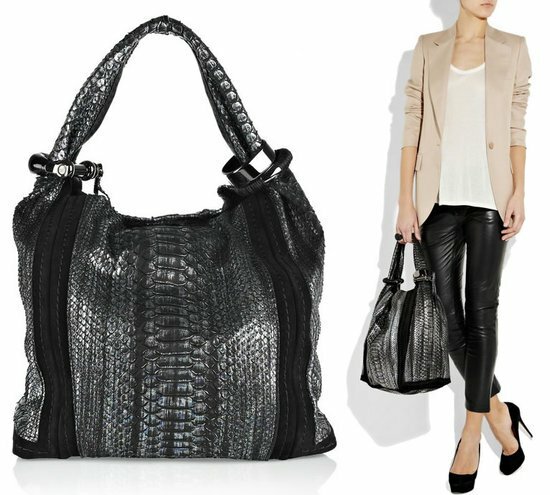 Its price ranges from $640 – $800. 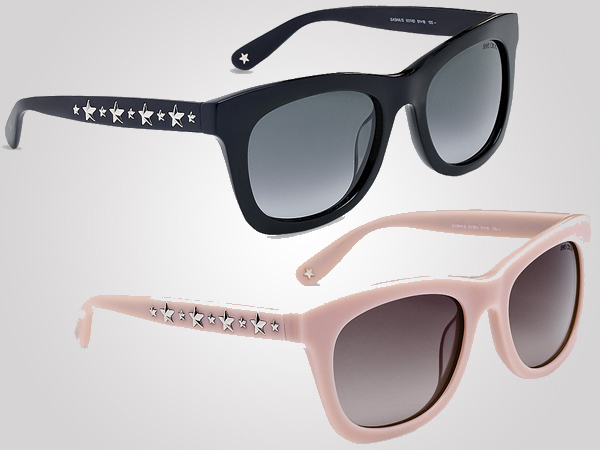 The moody rock inspired Sasha sunglasses with its square-shaped acetate frames embellished with the collections signature metal star studs comes in black, powder, Havana and fuchsia, giving a feel of rock n’ roll glamour and is a accessory for every kind of girls. 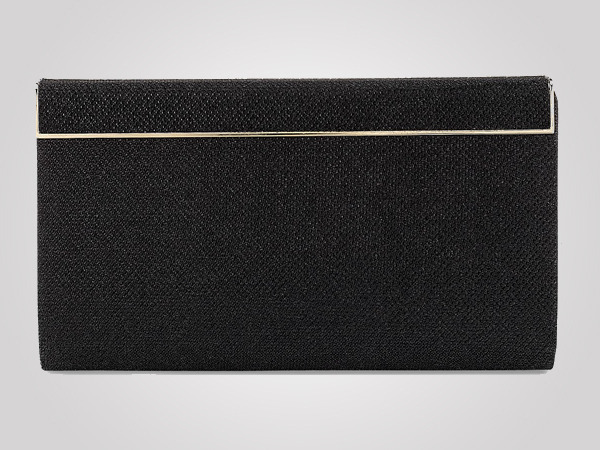 The strikingly beautiful and simply executed elegance are the boast of this Cayla evening clutch bag in black lame glitter fabric with a magnetic flap and gold metallic trim. The bag will neatly fit in your hand and is the perfect size to carry essentials without being bulky. The Cayla clutch is even available in a light bronze acrylic leather material and is priced at $1100. 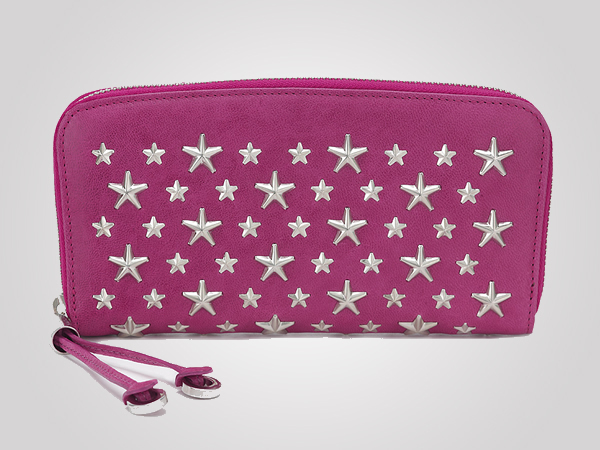 The Filipa is a chic zip around wallet embellished with metal star studs designed in cyclamen calf leather. 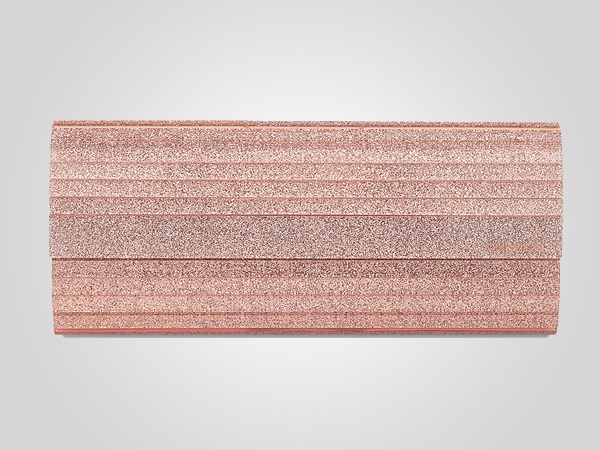 Made in Italy, this two-toned leather-lining wallet can comfortably accommodate all your cards, money, and essentials. 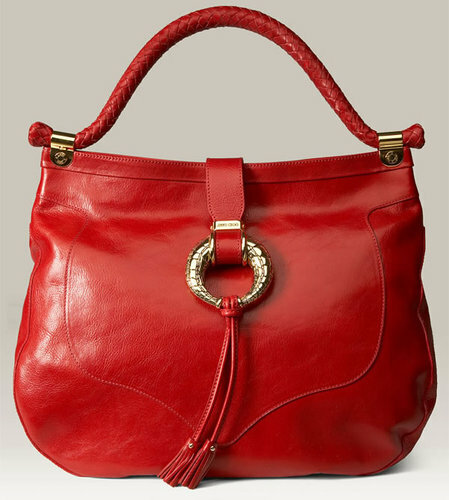 It comes in a number of colors including buff, navy calf, peony calf, pearl grey calf, and black leather with a price tag of $720. 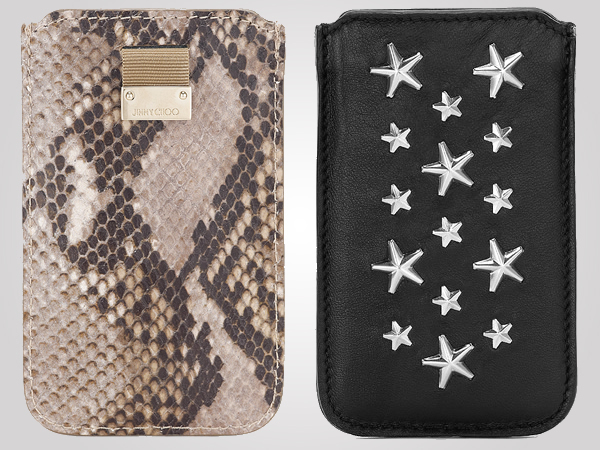 The Trent iPhone Case is a stylish pouch for your iPhone 4 in exotic snake print leather is available in two shades of desert shade and a darker snake print. The Trent collection also has a buff leather and peony pink studded with stars iPhone case. The covers are in the price range of $220-230. 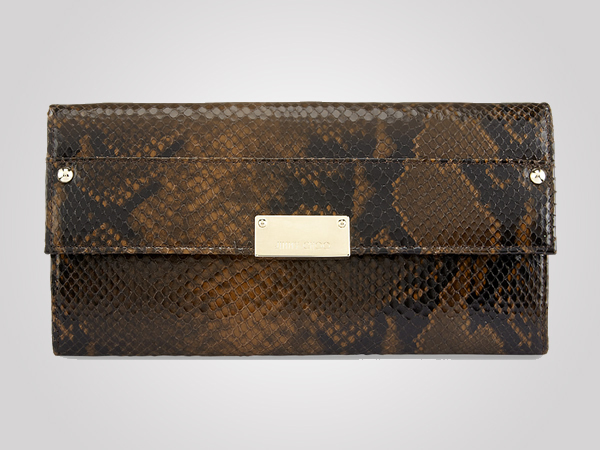 The Reese leather wallet designed with signature Jimmy Choo elegance offers two types of prints – Snake and Elaphe. A travel wallet complete with a snap fastening with a lot of storage space is available in brown snake print leather and in Elaphe -Blue, Jade, Citrine and Tangerine and for $650. 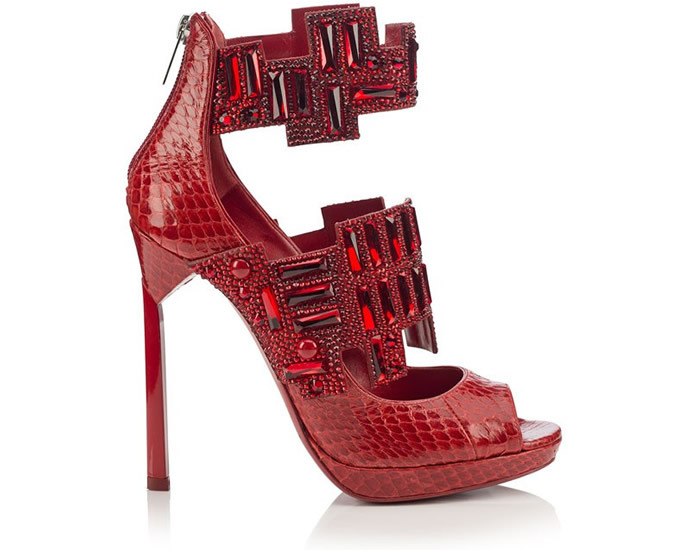 Jimmy Choo’s 80’s inspired collection has a lot to offer.